Here you'll find more information about our litters. whenever we recieve new photos. Our �- litter were born on May, 28, 2004. There is a 1 girl and 1 boy. Father - LIBERTY'S EMER'S PANDA ( Germany). Our B - litter the puppies of March, 10, 2005 were born. boys - 4, girls - 3.
a producer is NICK SHEDEVR IZ MEDVEJYEGO YARA (Russia). boy from a producer - NEWF MERMAID XAI (Belgium). on July, 17, 2006. 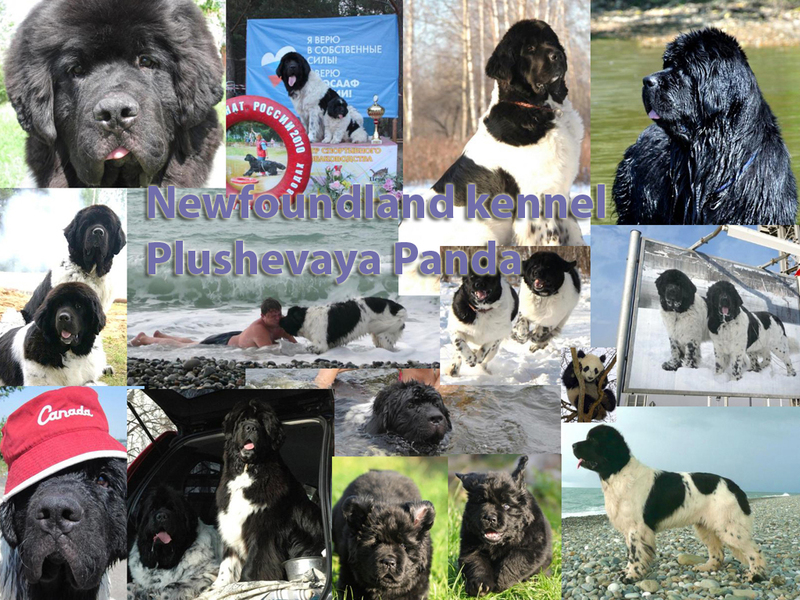 Father .NEWF MERMAID YENTL(Belgium). on November, 30, 2006.Father . BERNOBAN GIG ANTTI (Finland). producer - POISON OR HONEY KING OF HELLULAND (SK). Father - FULL METALL BLACK KEVIN (Italy). Mother - PLUSHEVAYA PANDA BARHATNAYA ROZA. Ouer O - litter 2 girls appeared in a nursery on october,19,2008 Father - MISSISSIPPI-MISSOURI DIFFERENT (SK). Mother - PLUSHEVAYA PANDAANABELLA BEAUTIFUL. 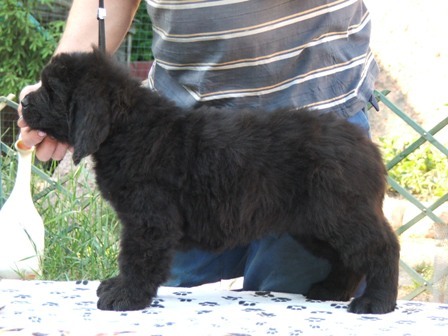 Ouer P - litter In a nursery appeared on March, 07, 2009, 4 boys and 4 girls.Father -SYPER BIZON AIZBERG (Russia). Ouer R - litter In a nursery appeared on July, 17, 2009, 4 boys and 6 girls.Father -LIFEGUARD'S AMERIKAN STYLE (USA). Ouer S - litter In a nursery appeared on October, 20, 2009, 4 pigeon pair Father -HIGH SECRET VOLTAIRE (France). Mother - PLUSHEVAYA PANDA ANABELLA BEAUTIFUL.